Today I am sharing the favor from my Christmas Tea. 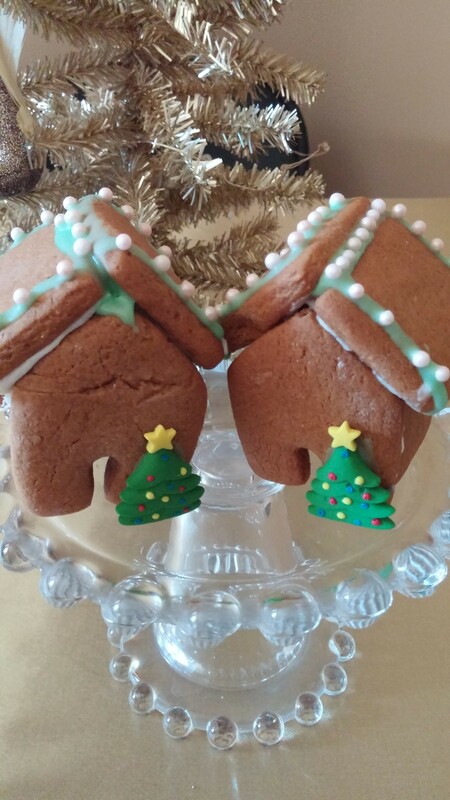 I purchased a mini gingerbread house cookie cutter last year from Fancy Flours online. I used it for the first time this year! I confess I am NOT the decorating expert when it comes to gingerbread houses! I was pleased how they turned out! I used the recipe that came with the cutter and was told by my “taste testers” that it was a delicious cookie! 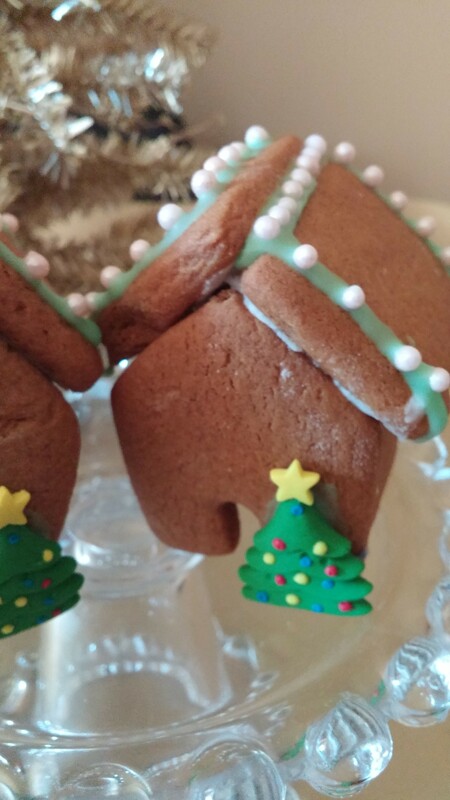 The cookie was a little softer in the middle than my normal gingerbread cookie recipe. My daughter helped me assemble them and I decorated them simply using mini confection edible pearls that I already had and these cute trees that I found at Michael’s made by Wilton. I used the Cake mate white frosting in the tube to assemble the houses. To decorate, I was decorating my sugar cookies and simply used the cookie icing I had leftover to attach the pretties to the houses! It was tons of fun! I am making more to give as gifts. I will put the pieces in a cello bag, add some edible decorations and tubes of Cake Mate frosting! I know the children receiving these will enjoy making them!